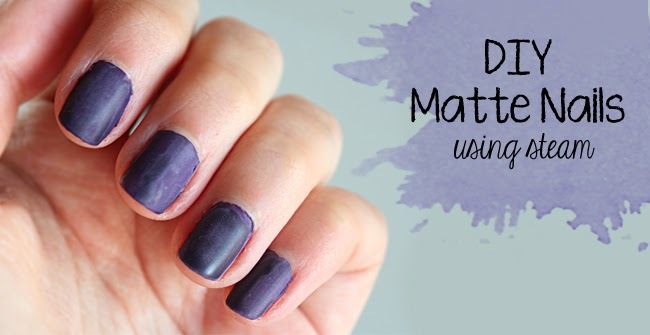 Recently I read somewhere that you could make your nail polish appear matte using water steam, I wasn't totally convinced and decided to try for myself. I first started by heating water in the microwave, I heated mine for 2 minutes in the maximum level, you can also use the stove if you prefer. The water needs to be hot enough to produce steam. 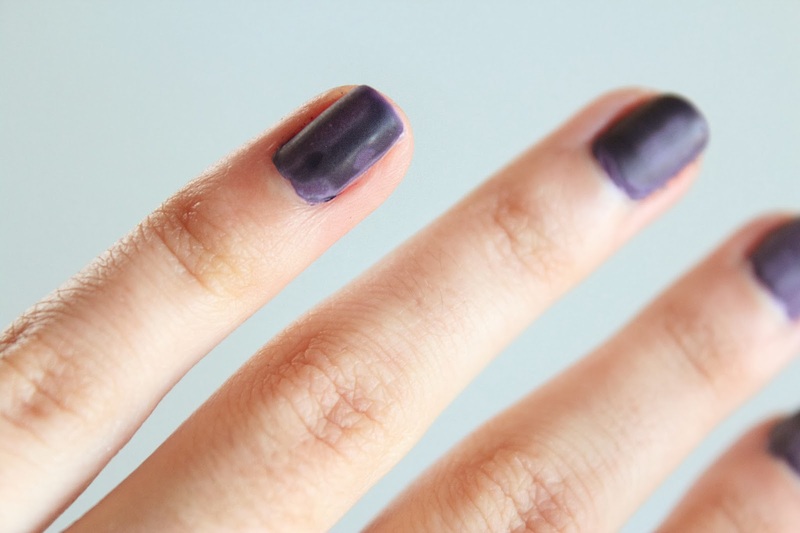 Next,I painted a thick coat of my dark purple nail polish on all my nails, and put them near the steaming water. Be careful not to burn yourself and don't leave the nails near the steam for too long, or tiny condensation drops will start forming. 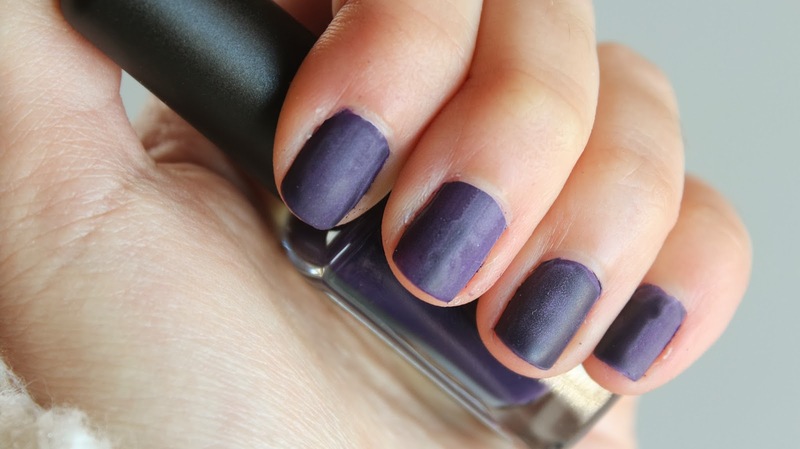 This is the end result, it is not the most neat and perfect looking manicure, in some parts you can see darker and lighter spots, but it is still ok if you want to use it as a base coat and make decorations, or clear nail polish details on top. What do you think of this method would you use it? I am so going to try this ! I think it looks great and i love the look !